A smart waste management company is testing adding Wi-Fi units to its containers in the hopes that cities will want to deploy its system to get a twofer: smart waste disposal and municipal Wi-Fi that works. Cities’ various attempts to install widespread municipal Wi-Fi over the years have not ended well. They have come against physical problems in the form of buildings and office towers that block signals. They have found it hard to squeeze funding from already tight budgets. In many cases, they have been overwhelmed by pushback from private sector providers of mobile broadband. A test pilot recently held in New York City, though, could knock aside those issues. This project was conducted by a smart waste management company. That’s right. A smart waste management company believes it can successfully help municipalities deploy citywide Wi-Fi from its smart trash containers. And it makes sense. Here’s why. The company is Bigbelly, better known for its solution of solar-powered trash containers and recycling units that are equipped with Qualcomm chips. When the containers are full, or even just smelly, a text or email is generated alerting sanitation operations. 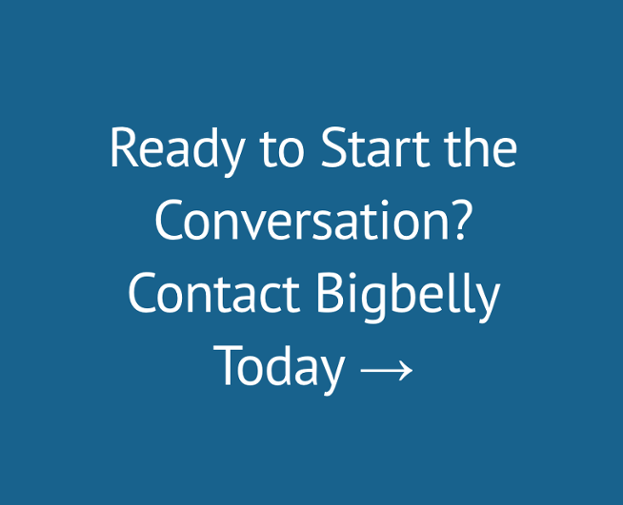 Bigbelly has been deployed in cities across the U.S. and in several countries. To be sure, it isn’t the only provider in this space. The global smart waste market has been forecasted to grow at a compound annual growth rate of 16.82 percent between 2014 and 2019, according to a market research report by TechNavio. The technologies these companies use range from RFID-tagged disposal units to vacuum containers. All provide real-time information about the container and its contents via sensors on the equipment. The top players in this space, according to the report, include Covanta Energy, Republic Services, Suez Environment and Veolia North America, among others. Bigbelly is on the list as well. Bigbelly, though, stands apart with its concept of including Wi-Fi on its smart containers. This is how it would work, Leila Dillon, vice president of marketing at the company, tells me. The Wi-Fi unit would be installed on the container, of which there would be enough throughout the city to deliver continuous — or close to it — coverage for the specified area. Since these units are on the street level, buildings won’t block the signals. Also, there are a number of value-add services and applications that could run on these systems that would more than pay for the project, Dillon says. Advertising is one. “A person approaching, for example, Starbucks on the next block could be shown an ad,” she says. As for the pushback by private companies, well, that will undoubtedly continue — but city and state officials would have more reason to stand up to these interests. After all, a municipal Wi-Fi network could also serve up public service announcements and emergency alerts as well as provide governments with invaluable data, such as foot traffic on certain blocks. Bigbelly’s Wi-Fi initiative is just one potential offshoot from the growing deployment of smart waste management systems in the U.S. and around the world. Weather studies and pollution measurement are clearly potential uses. The depth and breadth of the data that these projects can deliver will likely lead to other use cases as well. Granted, much of this is still in the concept stage. Nevertheless, speculating about it is exciting stuff. For example, if a private company has access to the data, it could find out which neighborhoods, or even consumers, are large producers of trash and could potentially market solutions for waste reduction to them, Stefan Christov, associate professor of software engineering at Quinnipiac University, tells me. As more cities charge garbage collection fees proportional to the amount of waste they generate, such solutions could be very well received. Also, if the containers are additionally equipped with cameras or bar code readers, the type of data could really explode, he continues. Theoretically the containers could recognize the products that are being sent to the trash heap, at the brand level, he speculates. Bigbelly is hardly the only company that has used New York City streets for such a test pilot. Google, to name one example, tested offering Wi-Fi to the city via its all-but-defunct phone booths. Bigbelly’s advantage, though, is that while most of New York’s residents would not miss the phone booths, the city couldn’t last half a day without sanitation services.